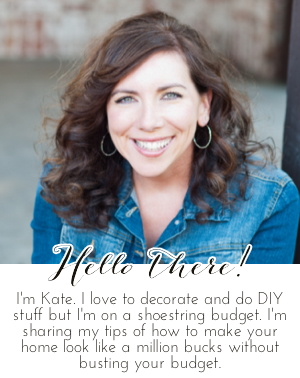 Chic on a Shoestring Decorating: The Big "O"... you know, Oprah! The Big "O"... you know, Oprah! What did you think my title meant? This is a family friendly blog silly! Before you get really excited let me just tell you- No, I didn't get picked to be a guest on the final season of Oprah due to one of my very creative and witty blog project/posts. ;) But, I got tickest! I was scrolling through my Flaunt it Friday party and found this fun post by The Single Nester about her trip to the Martha Stewart show. She's been 3 times! lucky duck! I found it to be very interesting having never been... it's always kind of neat to see what goes on behind the scenes. Then I realized that "duh, I went to Oprah, people might like to hear about it and think that is interesting too". If not... sorry about this really long post about my experience at Oprah. I went to the O show taping just a few short months before I started blogging so I never posted about it. Plus, the Oprah show allows absolutely positively NO CAMERAS inside their studio! I think if you try to sneak one in they will turn you over to Chicago PD. Not kidding. Anywho. I will tell you about it even though I don't have any cool behind the scenes pics. Let me preface by saying that I am not a crazy Oprah super-fan. I enjoy her show (sometimes more than others) but I don't idolize her or watch every episode. I've always been interested in going to a show taping because it's just about the only real tv show filmed in the Midwest. I can make a day trip out of it, plus sneak in some great food and shopping... it's kind of a cool Chicago experience if you can get tickets. Ok, ok... and maybe, just a little bit because I wanted to be on her "Favorite Things" taping. Doesn't everybody?! 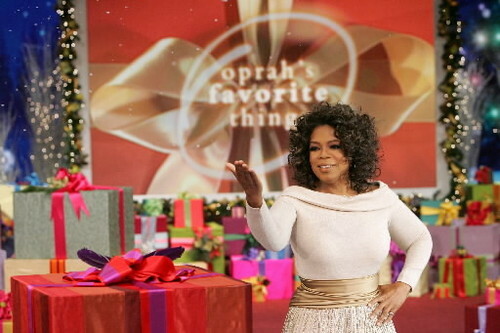 For those of you not familiar with Oprah's favorite things, it's the Christmas time episode where she gives away each of her favorite things to everyone in the audience, think I-Pads, $500 jeans, and even a new car! Oprah tickets are known to be insanely hard to get. The Oprah show used to have an 800 number that was open when tickets were available, it was always, always busy, I tried it once several years ago and gave up... who has time to sit around calling a number that is always busy? Not me. Now, tickets are available only on her website at certain times of the season. It was a total fluke that I was on the Oprah website checking out something a friend told me about and it just so happened to be a "ticket time". Basically, you fill in your info and hope to get picked in a "random drawing" for tickets- not really sure how random it is. I filled it out thinking that I really didn't have a shot in H. E. double hockey sticks to get tickets. I went about my business and a few days later got an email from the Oprah Show saying I got 4 tickets to the Oct. 28 afternoon taping.... for real?! Sweeeeeet!!! 4 tickets!! I felt kind of like I had hit the lottery, like these tickets were really worth something. If you snoop around on the "fan forums" on the Oprah website there are people on there who have been trying to get tickets for the entire time she's been on tv, like 25 years! I suddenly wanted to sell them. I bet I coulda' made some serious cash on those suckers. However, this is against the Oprah rules. The person that gets the tickets aka. the ticketholder (me), must attend the taping with a photo ID for the rest of the party to get in. If the ticketholder doesn't show, no one gets in. Ok, that's fine, this is going to be a really cool experience and just maybe I'll get on the Favorite Things show! Man, am I greedy or what!? I asked my hubs if he wanted to go to the taping with me and he started laughing and said he'd rather go to the dentist (he can't stand the dentist and some tv hosts which shall remain nameless). I thought this would be his reaction so I took my mom (of course), my sis-in-law/BFF, and my good friend who was the one that tipped me off to look at something on the O website, if it wasn't for her I wouldn't have been on there to try for the tickets. After getting the tickets I did lots of research on how to get the best seats during the taping and what you can and can't do in the taping, etc. The main rule was to wear bright clothes, this comes from the official website, they look better on tv. If you wear bright clothes you might get a better seat. Here's us in the waiting area, note the bright colors (except we are wearing coats over them). Me in my vest because it was my only hooded coat to keep the rain off my hair. Some folks said to show up and get in line early outside to get a good seat, others said it didn't matter. We showed up about an hour early with about 100 people already in front of us. The security at O were all very friendly. We tried to make friends with them to get better seats (another internet tip that ended up being false). Come to find out they have nothing to do with where you're seated. A view of Harpo Studios (the Oprah Show studio) from across the street at the Oprah Store. A few days before the show we received an invitation from the O show to view a showing of the new movie "Amelia" (the Amelia Earhart story starring Hillary Swank) movie in a downtown Chicago movie theater. We decided to skip... can you believe we ditched Oprah to do our own thing?! (Eating and shopping.) I'm so glad we did... later we rented the movie and although I think Amelia Earhart's story is interesting, the movie was a total yawner, we didn't even finish it. Thumbs down... sorry Hilary Swank. With that email we realized we were not on the Favorite Things show but that was ok. We were still very excited. When we finally got to check in, they check everyone's ID's to make sure they matched what I had sent them. They kind of look you and your party up and down and then they give you each a number. You then go upstairs and sit in a big room with the whole audience and wait, and wait... and wait. Finally, they start calling numbers, they are in no particular order but they know who they are calling. When you finally are called, you go through the coat check where they search your purse, take cell phones and cameras at a "coat check" and send you off to the studio doors. They finally let our group in the studio and to our dismay, the section they had put us in was totally full! Plus it was in the risers, not the coveted floor seats. There was only enough room for us in the very top row. Awwwww mannnnn! This is almost the exact view from our top row seats. Not too shabby for the last row! ﻿However, the studio seemed tiny compared to how it looks on tv. We were dead center and even in the very last row we were probably only 30 feet from the stage. No biggee. As we were waiting for the studio to be filled a lady from security was scanning our section and then started staring at me. I shot her a nervous smile. She then came up the stairs, pointed at me and said "You, pick one person and come with me"... I said "Better seats?"... she said "much better, honey". I grabbed my mom and we followed her down the stairs to the floor, she sat us in the center on the floor, 6 or 7 rows from the stage!! YES!!! I felt bad leaving the other two but knew they were so grateful just to be there. When everyone is finally seated they start some entertainment to get the crowd pumped before the show (as if we weren't excited enough). There is a lot of audience interaction before the show and they even had a lady who was a stand up comic in the audience sing a funny song she had written about Oprah. They play the Black Eyed Peas "Tonight's gonna be a good night" song and get everyone to do a simple dance. After all the hoopla they finally have Oprah come out. They did not have a taped entrance that day so she just walked out casually in some slippers and had a seat. She came out in jeans and a cute sweater set and slippers. She actually had an assistant put her fancy high heels on her after she was already sitting down. HA! The thing that surprised me about Oprah was how short she was! Hilary Swank was interviewed about her appearance in "Amelia" which was kind of exciting. Even though it wasn't the Favorite Things show, I was hoping like crazy it wasn't a show where they interviewed a criminal via satelite from prison or something awful like that. I couldn't believe how tiny Hilary Swank was! Seriously skinny and petite. I always thought she was sort of tall and lanky. Not at all! She had on a cute little dress that was probably a size 0. It is just amazing what the camera does to people. Hillary Swank seemed very sweet and genuine. Oprah was friendly to the audience and pretty funny off camera. She interacted a bit with the audience (from the stage) both before and after the taping. Some posts on the fan forums I had read said she was rude, ignoring the audience completely. She was great with us, everyone has a bad day once in a while and maybe it happened to those fans. When it was over, I was a little disappointed that there was nothing under my chair to take home. However, I had a fabulous time. It was a great experience that I really enjoyed. My guests felt the same way. The show people direct you to the Oprah Store across the street to fill your need for an Oprah souvenier. I didn't get anything. Be back soon with some St. Patrick's day decor! Thanks for sharing! This was really fun to read. I love new experiences and this sounds like a good one! I CAN'T BELIEVE WHAT I JUST READ! I TOO went to that SAME taping last October - and flew all the way in from Calgary, Alberta, Canada for it. My girlfriend and I had a great time in Chicago and made a trip out of it! I too was disapointed that we didn't get anything for free! We also skipped out on the preview of Amelia because our flight arrived late that night - and my friend was praying for Richard Gere! Thanks for sharing! Fun hearing about the behind the scenes stuff. I enjoyed reading about your Oprah experience! Thanks for sharing! That had to be so much fun, loved reading about it! Okay. I'm not a CRAZY Oprah fan. Like, I'm sure there's SOME episodes I haven't seen. But I do ADORE her. And I will admit to breaking the "thou shalt not covet" commandment while reading this. I'm devestated that it's all over. Mostly because what the heck will I talk to people about now. My "go to" conversation opener is "the other day, on Oprah..."
i used to go nuts at the fave things show, like i wrote down everything she gave away and the monetary amount. why? what was i going to do with it? i love the year they were all teachers. my goodness, amelia was brutal to get through. have you seen conviction? fantastic! Oh my goodness, how exciting! 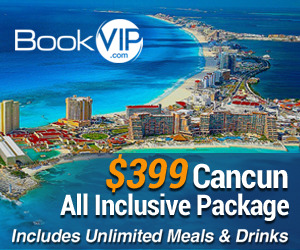 I am not a huge Oprah fan like you, but I would definitely go if I had the chance! Thanks for sharing your experience, to those who may never get to Chicago!